Everybody welcome… bring you’re ideas for community television. Email hardwicktv@comcast.net to sign-up. Interested in volunteering at HCTV? 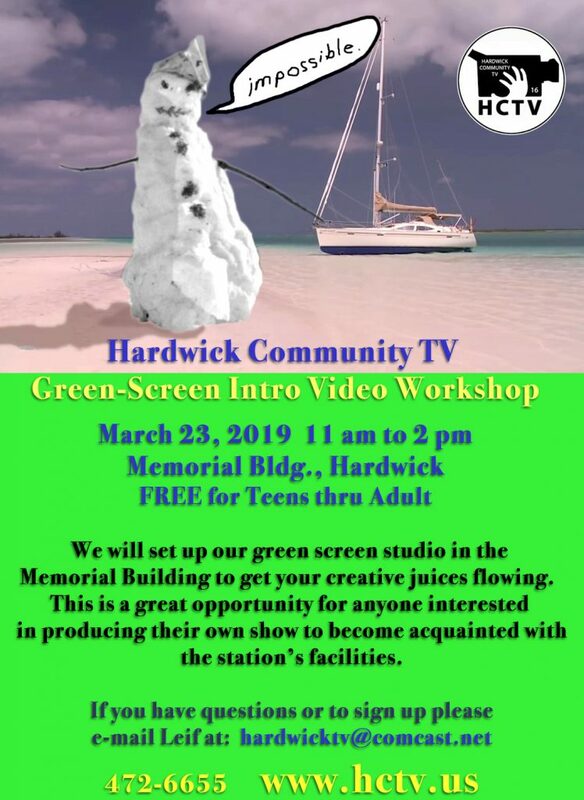 Join us on Saturday April 7, 12-3PM for an introduction to Hardwick Community Television’s community resources. 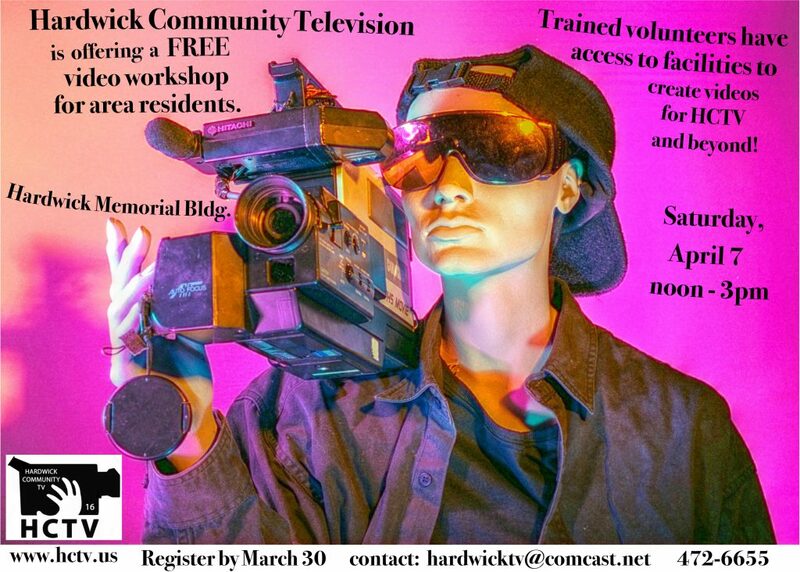 Besides an overview of HCTV facilities and volunteer opportunities, we will offer a basic training workshop about using cameras, tripods and sound equipment. This is a free workshop. 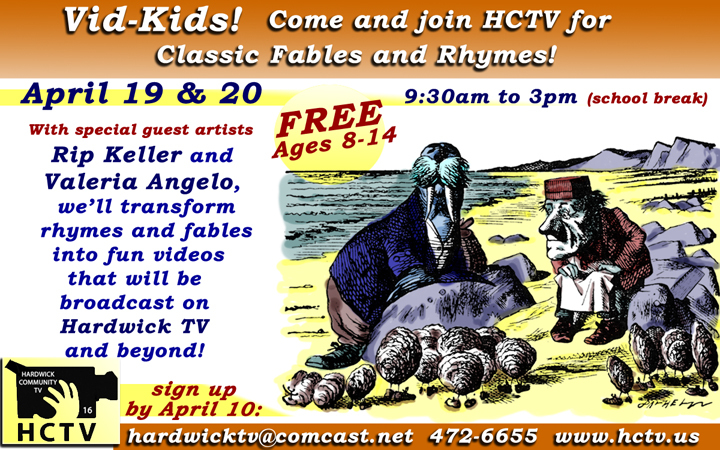 People can contact Leif at hardwicktv@comcast.net or 472-6655 by March 30 to register. August 15 and 16, 2017! Rip Keller and Valeria Angelo return to create videos based on the wit-filled writings of Mullah Nasrudin. Kids can take part in acting and/or the technical aspects of video production. We hope to have a public screening in early September! There is no fee to register your child (ages 8-14) and lunch is included. There are limited spaces, so sign up early! 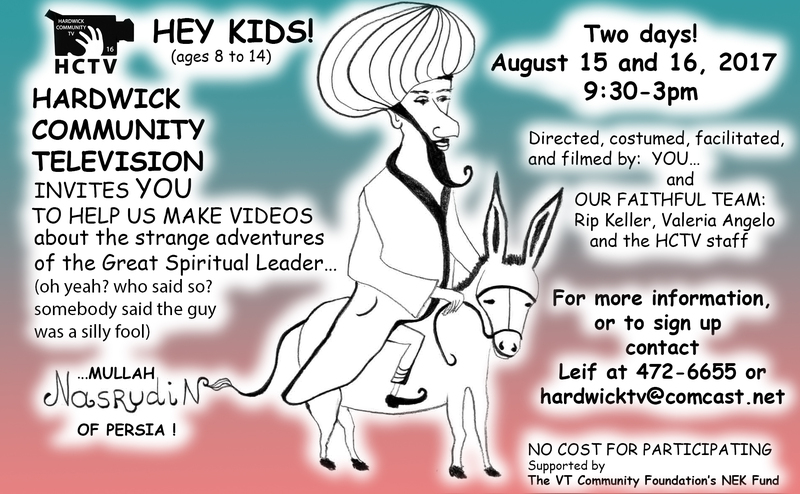 Please email Leif at hardwicktv@comcast.net to sign up! This workshop is made possible with a grant from VT Community Foundation’s NEK Fund. variety of activities to enjoy. Fontaine & Goethe. The workshop is FREE and open to kids ages 8 to 14. For more information or to sign up, contact Leif at HCTV. This workshop is made possible with a grant from the Vermont Community Foundation’s NEK Fund!